Cabaret Cares is the Award Winning benefit series that benefits Help Is On The Way Today a non for profit created by cabaret producer Joseph Macchia, Cabaret Cares is a ongoing monthly series that was created to benefit Help Is On The Way Today a non for profit organization that helps children,teens and youth living with HIV and AIDS. Once a month a new show is created and can feature Broadway show casts, up and coming talent and many of the New York CabaretCommunity. The Award Winning Benefit Cabaret Series Cabaret Cares returns in March with the cast of Broadways Hit Musical On Your Feet. 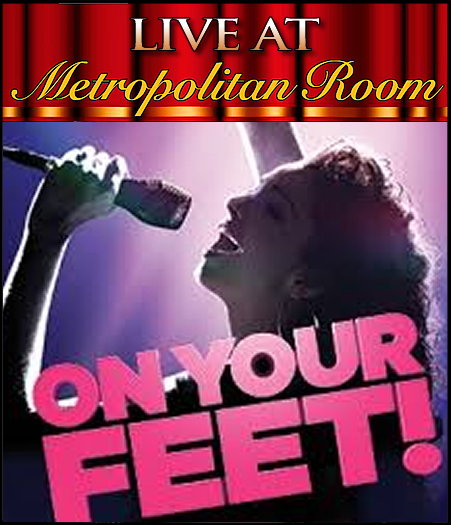 Hosted by Drama Desk Award Winner Doreen Montalvo the cast will head down to The Metropolitan Room to raise money for Help Is On The Way Today. Help Is On The Way Today is non for profit organization that helps and assists children, teens and youth living with HIV and AIDS.